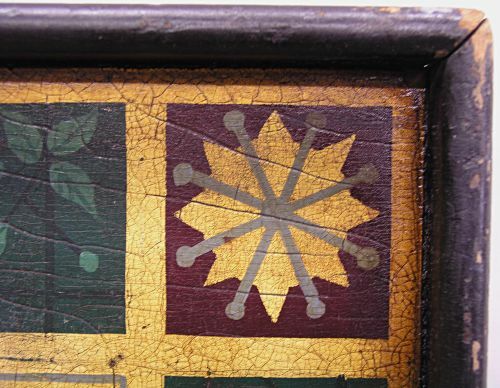 Nineteenth century gameboard with an unusual decoration consisting of red yellow greens and black. Pine with applied molded edge. 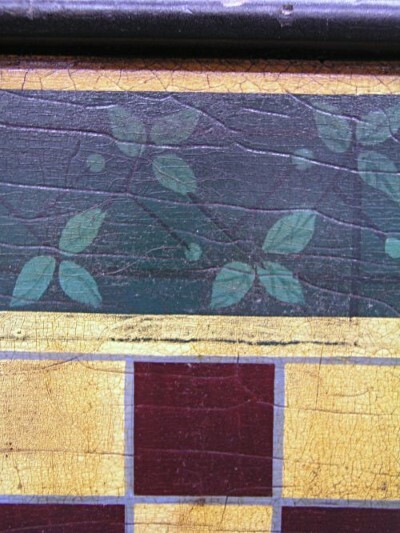 Sides are outlined with leaves on vines and stylized stars at corners. 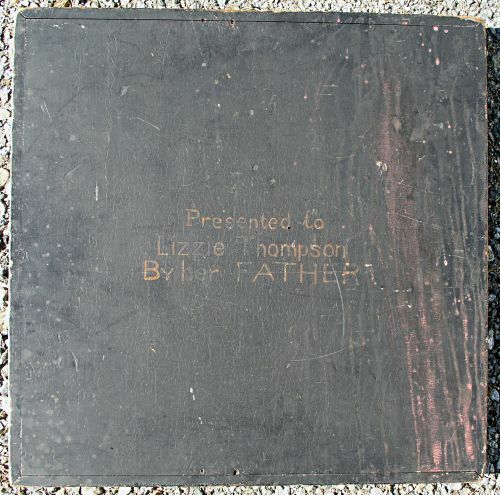 Reverse side says: Presented to Lizzie Thompson by her Father. 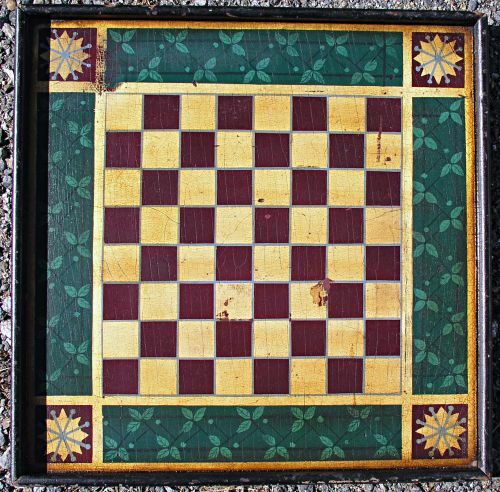 Dimensions: Measures 19" square by 1.5"